Palliative care is the active total care of patients with advanced illness. The focus is on quality of life and integrating the physical, psychological, spiritual, and social aspects of care. Nightingale palliative care Nurses aim to enhance physical well-being through effective symptom control and management: pain, nausea, vomiting, constipation, sleeplessness. Our Nurses help to enhance psychological well being through management of anxiety, depression, fear, denial, and hopelessness, their care ensures that happiness, enjoyment, and leisure are promoted. Spiritual well-being is also assisted through minimisation of suffering, focusing instead on religious beliefs, hope and meaning. At Nightingale Home Nursing, we deliver a compassionate approach to end of life care, enhancing the quality of remaining life and enabling you to live as fully and as comfortably as possible. 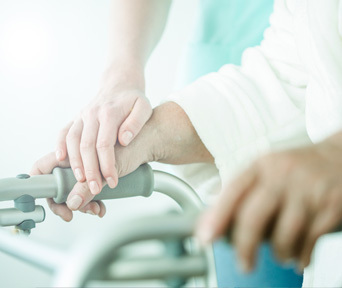 Our Palliative Care Home Nursing Service offers a more dignified and comfortable approach than provided in the hospital – thus, enhancing comfort and quality of life in your home environment. Palliative care is provided in the patient’s own home and refers to any care that alleviates symptoms, even when there is hope of a cure by other means.